A special frozen ready-to-use diced pudding with delectable taste. Soft and chewy texture adds twist to your beverages and desserts further improve your profit and eliminating tedious preparation process. A fruity delight in every bite! 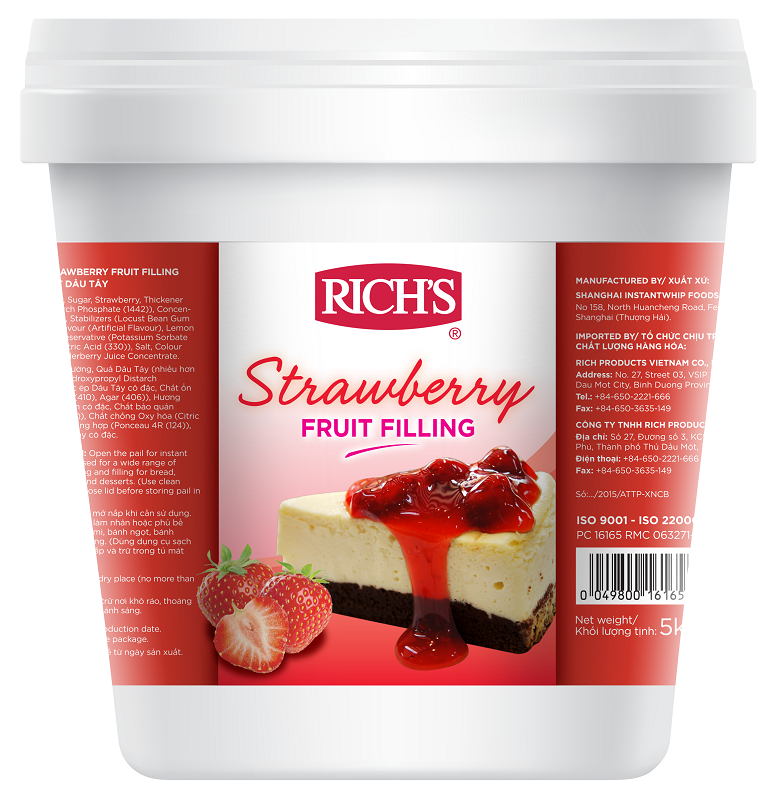 Made from selected fruit resources and upscale materials, Rich's Strawberry Fruit Filling is delicious, natural, and it can easily please the most demanding customers. Using to cover the surface or be the core of pie, tart, pudding, panna cotta and other pastries. A fruity delight in every bite! 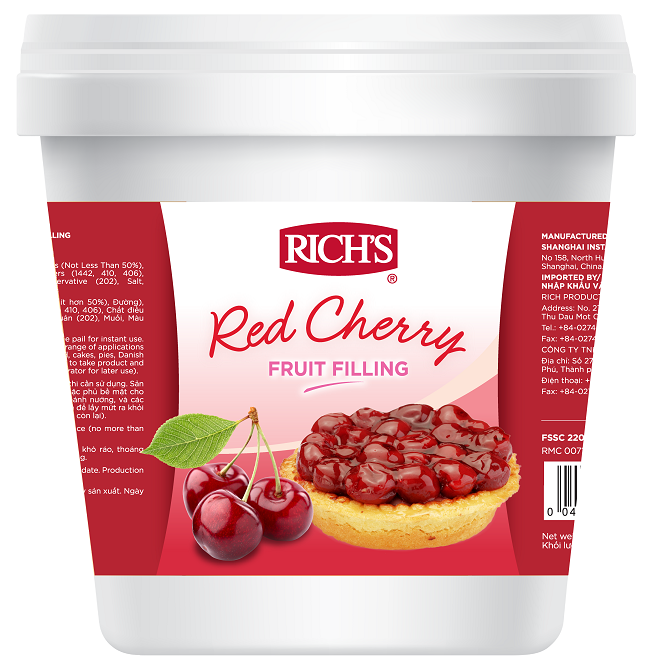 Made from selected fruit resources and upscale materials, Rich's Red Cherry Fruit Filling is delicious, natural, and it can easily please the most demanding customers. Using to cover the surface or be the core of pie, tart, pudding, panna cotta and other pastries. A fruity delight in every bite! 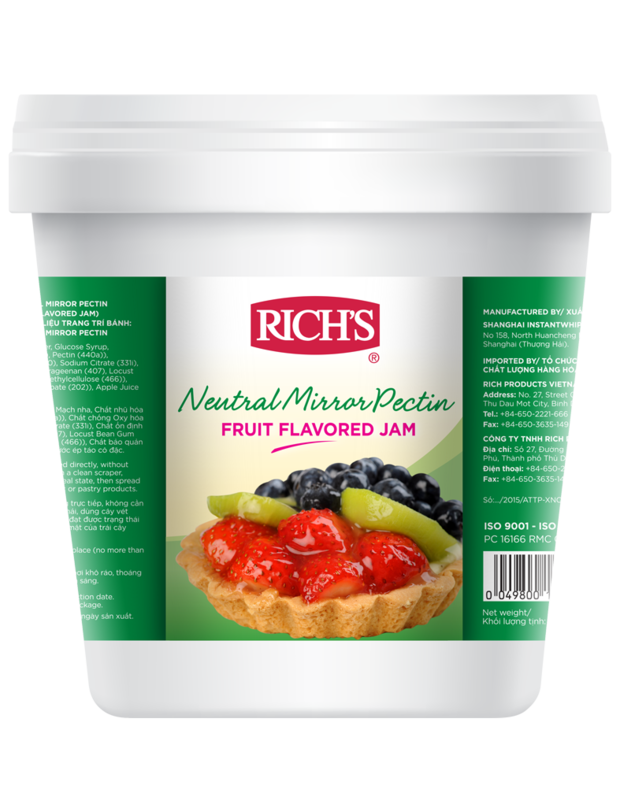 Made from selected fruit resources and upscale materials, Rich's Raspberry Fruit Filling is delicious, natural, and it can easily please the most demanding customers. Using to cover the surface or be the core of pie, tart, pudding, panna cotta and other pastries. A fruity delight in every bite! 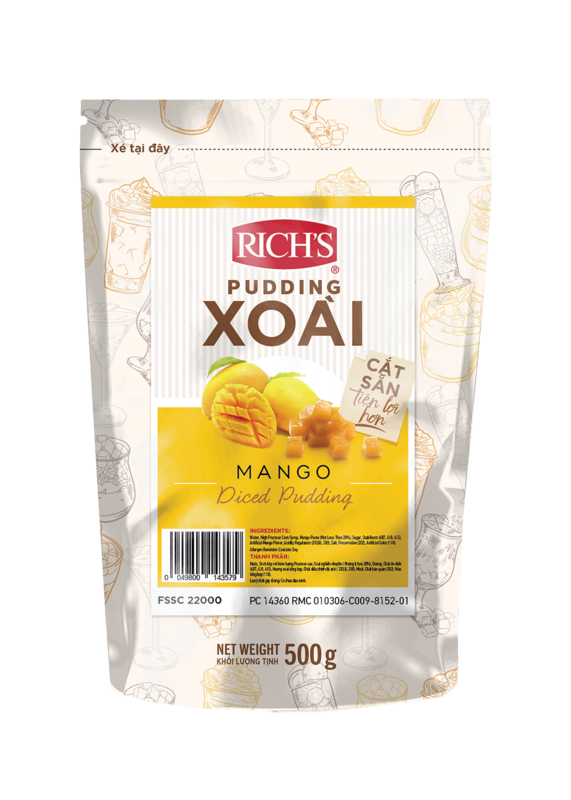 Made from selected fruit resources and upscale materials, Rich's Orange Flavoured Fruit Filling is delicious, natural, and it can easily please the most demanding customers. Using to cover the surface or be the core of pie, tart, pudding, panna cotta and other pastries. A fruity delight in every bite! 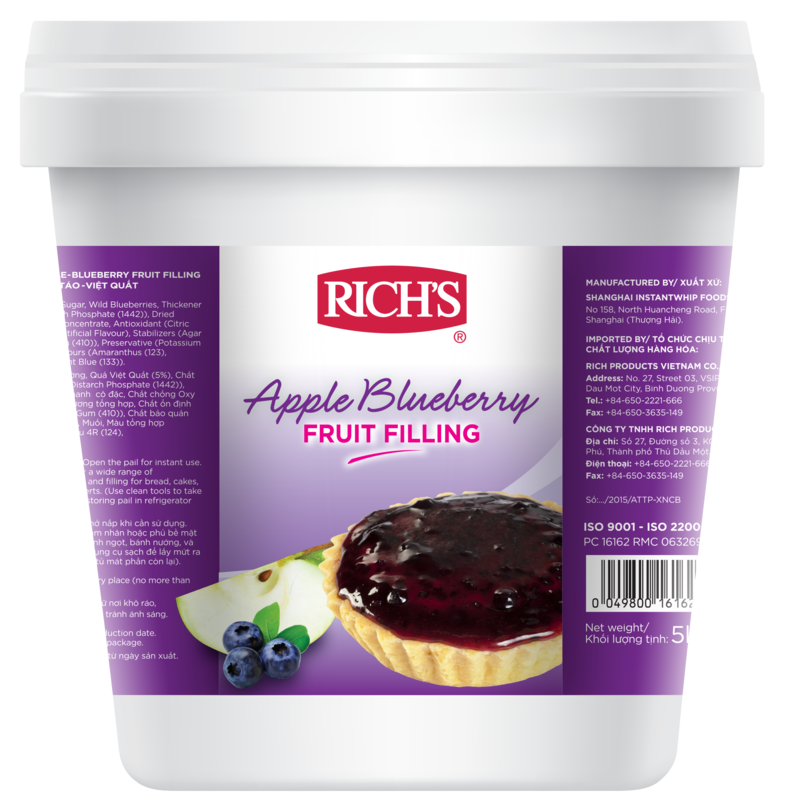 Made from selected fruit resources and upscale materials, Rich's Apple Blueberry Fruit Filling is delicious, natural, and it can easily please the most demanding customers. Using to cover the surface or be the core of pie, tart, pudding, panna cotta and other pastries. A fruity delight in every bite! 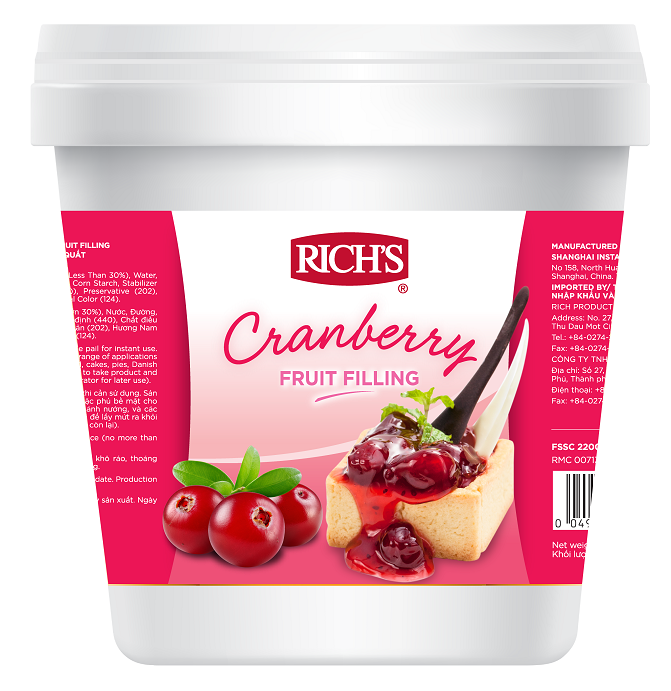 Made from selected fruit resources and upscale materials, Rich's Cranberry Fruit Filling is delicious, natural, and it can easily please the most demanding customers. Using to cover the surface or be the core of pie, tart, pudding, panna cotta and other pastries. A fruity delight in every bite! 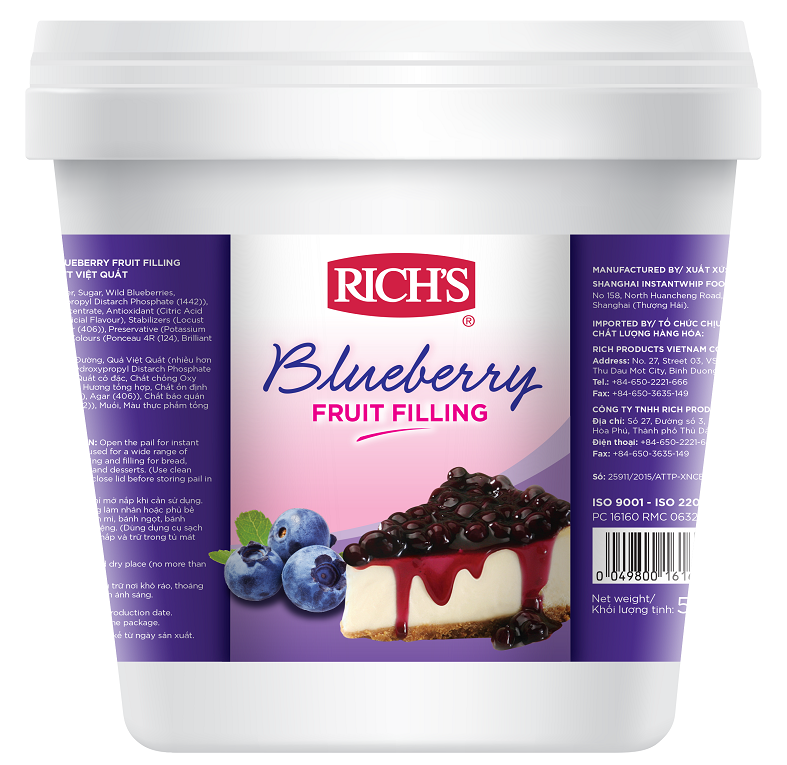 Made from selected fruit resources and upscale materials, Rich's Blueberry Fruit Filling is delicious, natural, and it can easily please the most demanding customers. Using to cover the surface or be the core of pie, tart, pudding, panna cotta and other pastries. 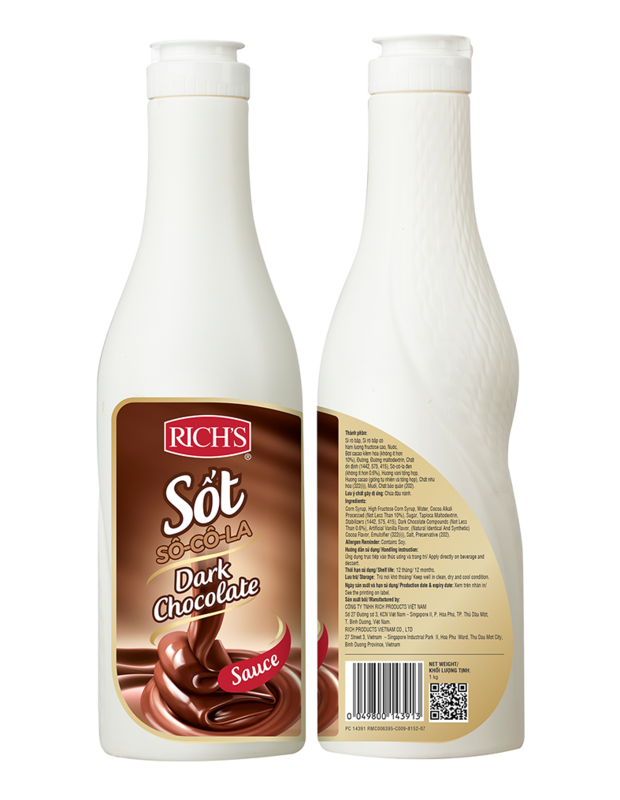 Rich’s Dark Chocolate Sauce is a premium ingredient that can be applied to various beverages and desserts. Luscious, chocolate fragrant and creamy Rich’s Sauce offer perfect and cost-effective solutions for your signature recipes. 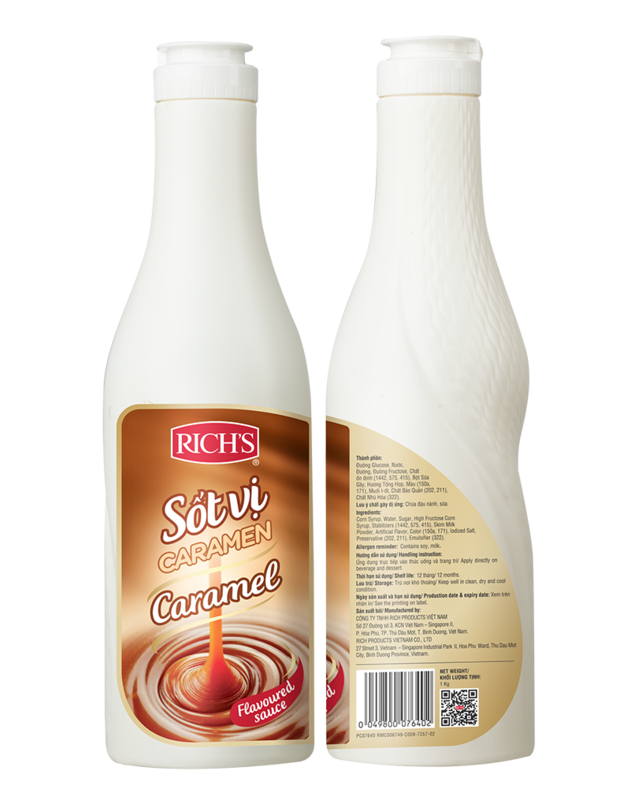 Rich’s Caramel Flavoured Sauce is a premium ingredient that can be applied to various beverages and desserts. Luscious, caramel - fragrant and creamy Rich’s Sauce offer perfect and cost-effective solutions for your signature recipes. A perfect finish to your creation! 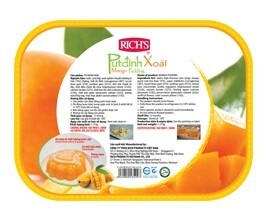 Cakes and desserts will be more glossy, attractive, soft, fresh, smooth and delicious with Rich's Neutral Mirror Pectin. 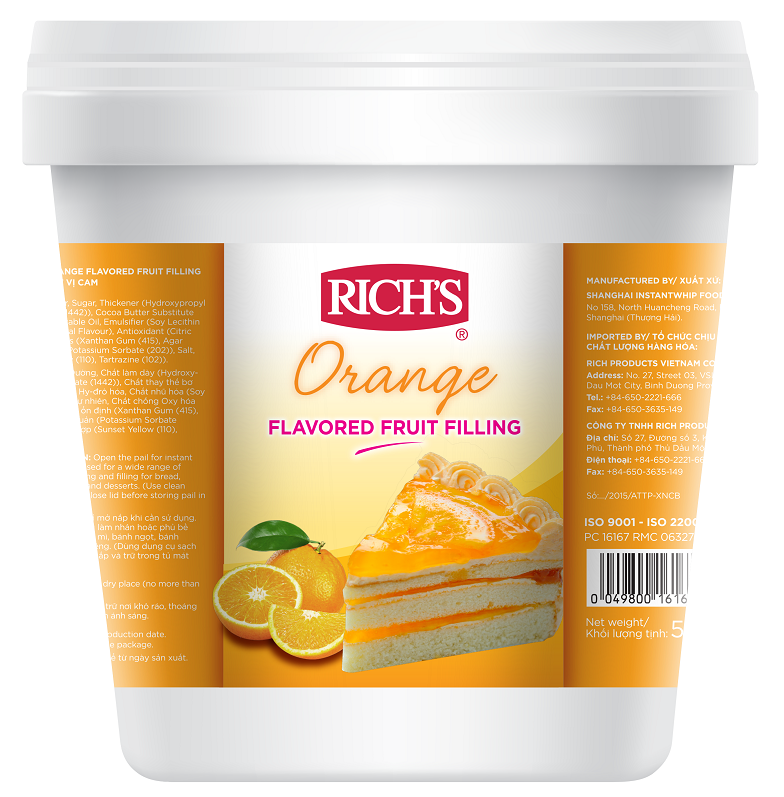 Complete your final touch by adding Rich's Fruit Gel to your cake and dessert decoration! 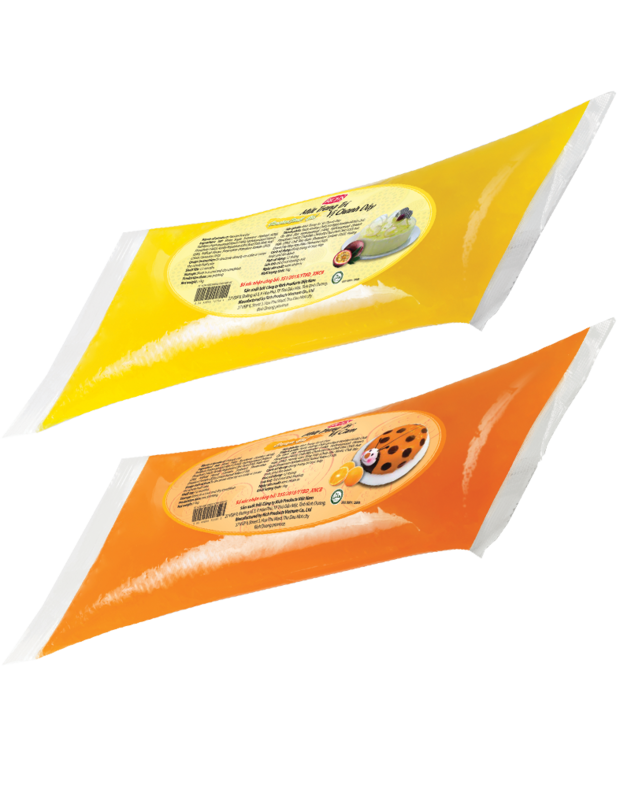 This complementary solution will increase the appeal and provides added value for your finished products. 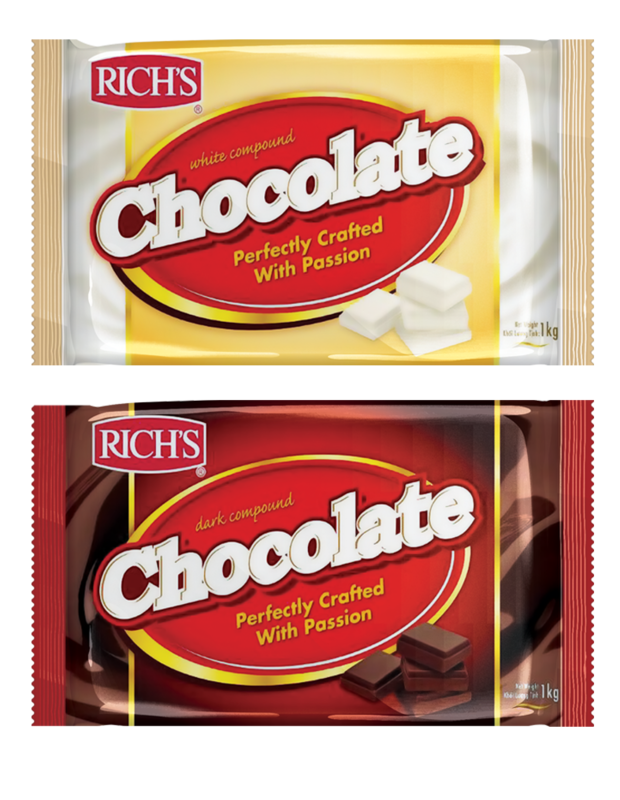 Rich's Chocolate Compound is passionately crafted to perfection to meet the most discerning needs of artisan, pastry chefs and professional users. It is made from high quality ingredients to give your baking a rich, sweet and creamy foundation that will dance on your taste buds. Its silky smooth texture, versatility and great ease of use make it an ideal chocolate ingredient for your signature cakes, desserts and pastries. 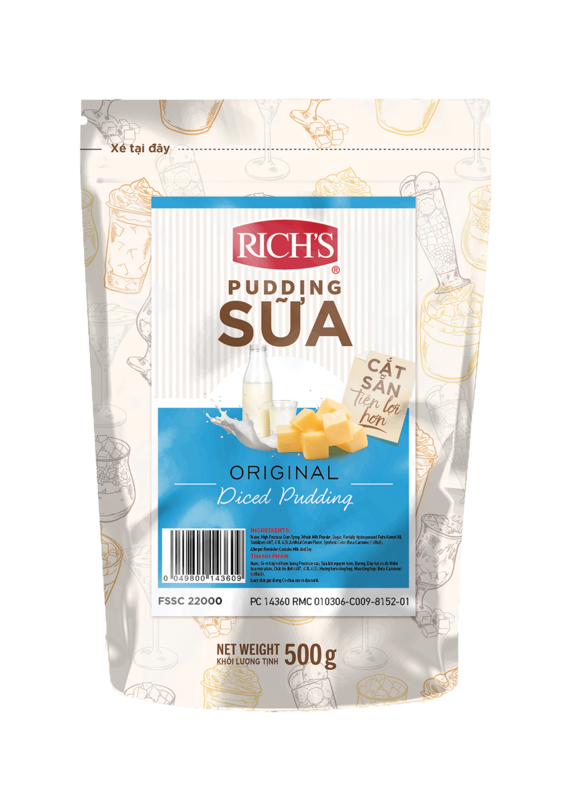 Rich's Pudding is the added-value solution for cakes and desserts, providing a new pattern of complementary products or can be considered a fully-finished ingredient which can bring sustainable value products.